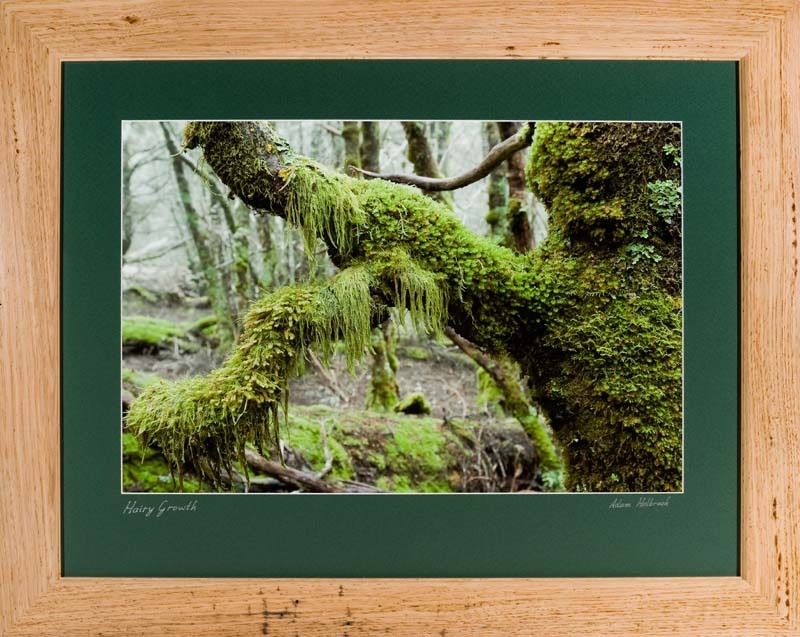 On Saturday 8th January 2011 at 10:30am, I am opening a photography exhibition featuring my photography, and my custom hand made Tasmanian timber picture frames. The venue for this exhibition is Meadowbank Estate winery, 699 Richmond Road, Cambridge (near Hobart). The exhibition launch is open to the public and I hope to meet as many of you as possible. If you cannot make it to the launch, the exhibition will remain open for a month. This exhibition will feature a tantalising array of wilderness images from all over Tasmania, in particular some of the more remote parts of the state. Congrats mate...if I was in Tassie I would have tried to make it, but being up here in Sydney it is a bit too far to travel. Hope it goes well for you and that you make some nice sales from it! Congrats Tasadam, Good luck with the exhibition. We would like to see some snaps of the event if possible. What a great achievement; well done. Good luck with the exhibition Adam. You must be both proud and excited to have your work framed and on display. That's how our best images should always end up. To top it off with a hand made frame would be the icing on the cake. The timber is recovered Tasmanian Oak, hence the character. having recently had an exhibition myself, you will really enjoy it. Nothing like seeing the prints on the walls. I'm in Hobart in late Feb, so will missed seeing it, unfortunately. Well the exhibition is up and running, and it looks great! It will be there until the end of 9th February. Here are some images of setting up, and the display as it appears now. All thumbs are clickable to an 800 pixel image. Congratulations Adam! I'm so sorry I can't make it to Tassie as I would have loved to have seen your work in the Gallery. Frames looks beautiful...exhibition looks outstanding. Looks Ace Adam. Hope it goes well and you sell out! Is that the Gallery system you were telling me about? Do you have a link for it? photohiker wrote: Is that the Gallery system you were telling me about? Do you have a link for it? It looks like the artiteq gallery system. The distributors are ArtBasics in West Ryde (Sydney). They do mail orderform their retail arm (Art Scene), but I have had unhappy experiences of the rails arriving bent. It may be better to find a local supplier. They do honour delivery damage though. Their Web site is truly atrocious, so I will not give it here. Ring them up instead. Rails come in 2 and 3 metre lengths. In plain anodised Aluminium, Powder coated White, and Paintable. Strings come in 1, 1.5 and 2m lengths. In nylon and stainless cable. There may be others I have never needed them. There is a quick release tip called Cobra and a slide in one. Hooks come in three or four flavours. I like the spring loaded 15Kg ones. There are also cheaper , lighter screw-tighten ones and "security" ones. I started with the screw tighten ones (FX brand) , but found they slipped, and damaged the nylon strings. The new ones are a different design though. "The Gallery System". I have never used this one. It is more expensive than the others, but heavier duty. If I had oil paintings in antique frames I might consider it. It is indeed The Gallery System. They have a heap of stock of the hooks and cables at Meadowbank. Some of the hooks are the old type (without the slot for the wire to pass through). She's always been good to deal with. 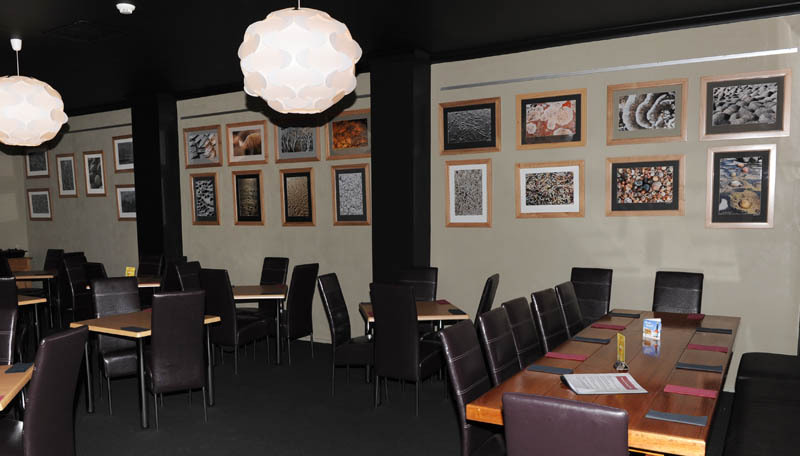 I have one venue that displays my work, Tapas Lounge Bar. 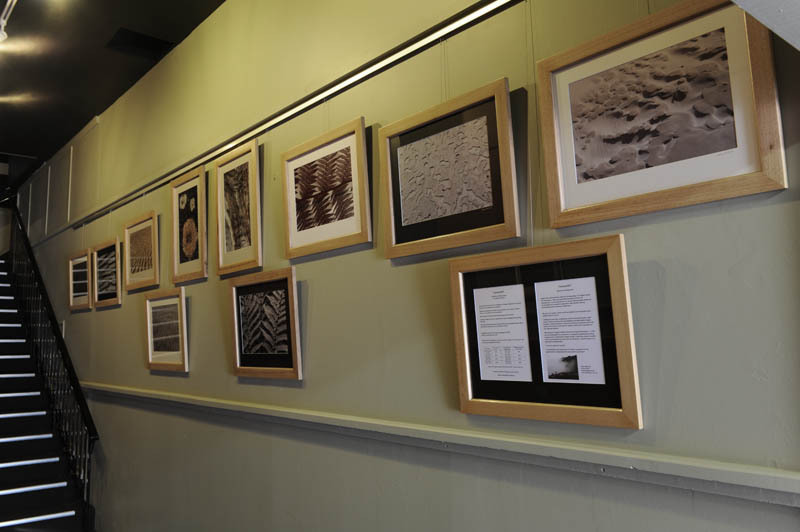 Gallery of displayed images here. They wanted abstract type stuff, with earthy tones, browns, orange, etc. So I had to convert some of my green ones to B&W. I have 15 metres of hanging space there, 3 x 3 metre walls in the dining area, and 6 metres in the downstairs area (using security hooks). This venue were good enough to purchase the Gallery System, and they bought the light system for the upstairs dining area as well, still need to get that installed which will happen soon. Will look really nice then. 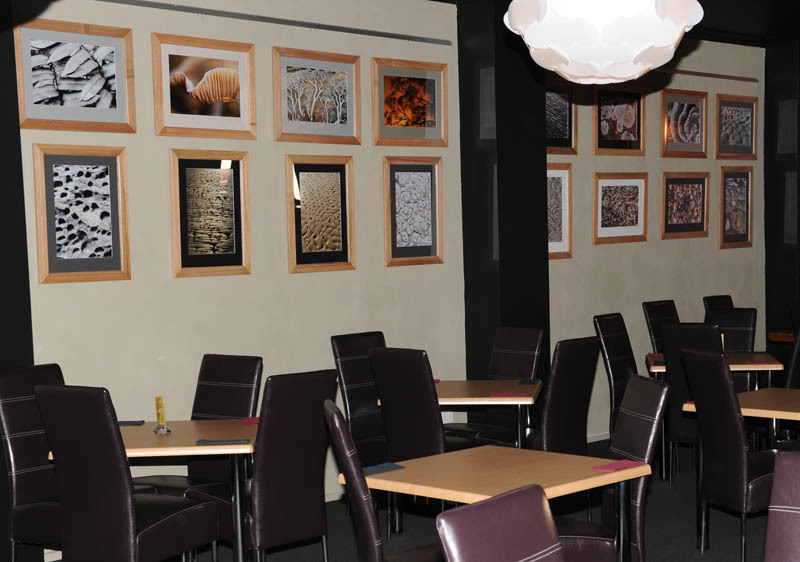 Having set up Meadowbank, I have decided to space the pics at Tapas a bit better too. I have another venue lined up that has gallery rails, another artist is in there at the moment, but within a few weeks it will be my stuff. Not saying where yet, but it's going to be great! To get in, I had to purchase all the Gallery System hooks and wires, expensive to do (nearly $800 worth) but will be worth it. Now, to finish the next batch of picture frames!! Mr Darcy wrote: Their Web site is truly atrocious, so I will not give it here. Holy Dooly... You're not kidding, that's BAD! I had thought these systems were a lot dearer than that. This is very encouraging.